Help give your skid plate, sheet metal or other panels rigidity, by dimpling the metal. 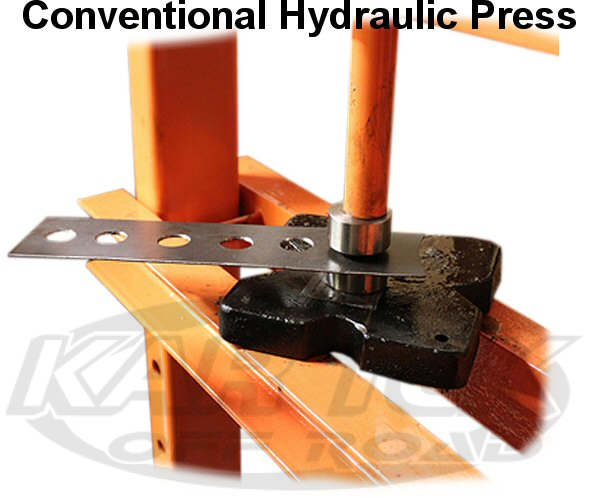 Used in any standard hydraulic or arbor press. We also sell bolt together dimple dies. Another great use for dimple dies are foot pedals and foot steps. The flare or flange forces the metal to bite into your shoes better, giving you more traction.